Finding the best hunting rifle sling requires doing a little bit of research on the different options available. That's why we've compiled a list of the five top choices on the market today. In this best hunting rifle sling review, you learn what we like about each sling, what we don't like, and who should consider a specific sling. Carefully read through the information contained here to find a rifle sling that will suit your particular hunting needs. Check out the video below that gives some important information on why rifle slings are necessary and not just an optional piece of hunting gear. The main feature that highlights this sling is the adjustable swivels that are easy to install and tweak. It also comes in multiple colors, including black, coyote brown, dark green camo, olive drab green, black and tan camo, and pink and black camo. Length adjustment varies from 33-44 inches. This adaptability makes it a good choice for rifles, shotguns, and even crossbows. 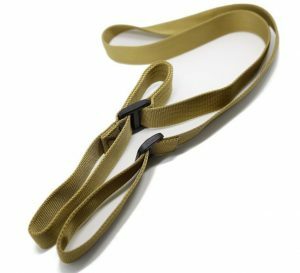 The included emergency paracord highlights a sling that is designed for tougher hunting and camping circumstances. Swapping it out on different gun models helps to create a diverse array of style options that also make it an excellent choice for a shooter with a lot of different guns. The multiple color options are nice because they allow you to match your gun with your sling. I also like the ways that it can be used in several survival situations. For example, it can be easily adjusted to hold up your food if you end up lost in the woods. That emergency paracord makes it a wise choice for someone who plans on spending a significant amount of time in the woods. Some people may find that this sling is rather uncomfortable to wear for extended periods. That's because the paracord tends to bunch up on the shoulder while you are wearing it. Thankfully, it is possible to avoid this problem by keeping the sling flat on your shoulder. That uncomfortable feeling may be a downer for some hunters but may be ignored by others. Hunters who are concerned about their personal safety should use this sling. The high-quality paracord, while slightly uncomfortable, provides a useful tool for personal safety that gives this sling a slight edge over the others. This shoulder sling uses rubber straps to hold it tightly to your body. However, it also has a slipping pad that prevents it from moving and sliding while you walk. This pad makes it more comfortable than some of the other items on our list. Beyond that, it includes a climbing swivel that helps it stay mobile and active while you walk. It is also adjustable to fit most types of guns on the market. Most users tend to attach it to a shotgun, but it can also be added to a rifle or even a muzzleloader. The color options here are a bit limited, including black and coyote brown. The climbing swivel of this gun stands out from others like it on the market. It moves easily and cleanly, without much tension. Just as importantly, I like how this sling looks. While the lack of multiple color options is a bummer, most guns should match up with it quite well. As a fan of shotgun hunting, I found it was a particularly great choice for my needs. One problem I noticed with this sling was the wearing damage caused by contact between the sling and the gun. This concern was particularly noticeable on the knob of the sling. While it wasn't too devastating, it did ruin a bit of the sling's allure. In fact, I even noticed some paint wearing off of the gun at the contact point. Placing a small pad on the contact point may help here. This sling option is a good all-around product that most hunters should enjoy. The strong swivels make it a wise choice for hunters who plan on doing a lot of hunting in hilly areas. Their adaptability should make it easier to get up and down in these areas. The wide design of this sling makes it rest comfortably against the shoulder. It also helps to prevent pinching on the skin that makes other slings uncomfortable. The embossed buck on the side makes it one of the more stylish choices on this list. The adjustment range extends from 27-37 inches. This length should make it useful for just about any hunter. I also like the use of genuine leather in this sling. While others use artificial options, this sling is the real deal. And I think the embossed buck looks cool. The swivels aren't quite as quick as I'd like them to be in a sling like this one. While they are far from sluggish, they don't have the same instant movement you get from other models. I'm also disappointed that it didn't integrate a few more decorative touches to the buck. Anyone who wants a stylish sling should like this product. The real leather and the handsome buck stamp give it a real nice look. It is also a good choice for those who are uncomfortable with narrower slings. Users of this sling get access to what is known as fast-loop adjustment. This technology allows you to make changes to the sling while on the move. As a result, it minimizes your tangles and makes it easier to switch up when you are tracking down a fleeing animal. It is also adjustable to about 55 inches, making it one of the longest slings on our list. The tube webbing is also secure and reliable, with a 4,000-pound test ensuring that it won't snap on your shoulder while you're out in the field. The fast-loop adjustment technique is an innovative addition that makes this a fun and easy-to-use model. However, I also like the strong mash hooks and the ParaClip that makes this a reliable choice. Beyond that, the nylon webbing provides a reliable level of comfort. The one problem I had with this sling was occasional tangles. While it boasts a tangle-free design, there were a few moments when it would bunch up on me. These moments weren't that frequent but were always very frustrating. The quick-change nature of this sling makes it a good choice for those who do a lot of scouting during their hunting. It will make it easier to draw a bead on an unexpected animal and take them down. This model comes with an expansion range of up to 36 inches. While not the longest choice on our list, it should be adaptable to many different situations. 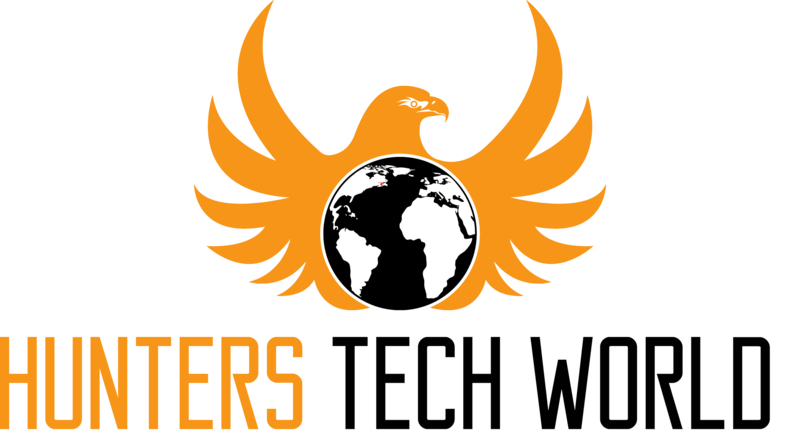 The leather design is strong enough to withstand most types of weather and provides the user with a durable and reliable sling option. This sling has a no-nonsense approach that makes it easy to understand right away. While it lacks the bells and whistles of other models, it doesn't need them. I also like the swivels, though they aren't quite as reliable as others I've used. The lead used in this sling is the biggest problem I have with it. In this day and age, there should be no need to use this metal in any product. And while the simple design is elegant, it may be a downside to users who expect a bit more from their sling. Anyone who wants a simple and streamlined sling should try this one out. There's nothing too fancy or difficult about it. However, those concerned about lead poisoning should stay away. Hopefully, this best hunting rifle sling review provided you with the answers you need to make this difficult purchasing choice. Obviously, the final choice will lie with you when making a purchasing decision. 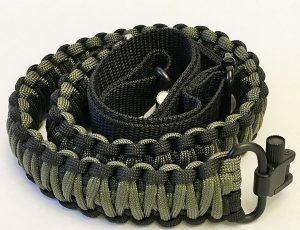 However, we lean strongly towards suggesting the Gun Sling Paracord for most shooters. Its features are excellent and are reliable enough to suit most types of hunting situations. It also has relatively few negatives that are outweighed by the benefits it provides to hunters and shooters like you. Remember having and using a good sling is an important aspect of hunting. Make sure you check our other hunting gear reviews for information what other gear you might need out in the wild.